Yes, your Achilles tendon is the strongest tendon in your body - it is designed to handle much of the force from each step you take. Now start to consider the additional supreme forces that come from running, jumping or just carring something extremely heavy. You are asking the achilles bear the brunt of the forces which can be extreme. For many athletes and weekend warriors, this is enough to cause significant tendon damage; consider further that as we age tissues begin to break down to the point where the achilles can no longer handle the forces that it was once able to. It is important to treat Achilles tendon injuries as soon as possible, as any activity or strain you put on your tendon can re-injure it further. Though the pain, discomfort, and inconvenience of an Achilles condition can be overwhelming, it is possible to overcome it. The more diligent you are with your treatment and rehabilitation, the faster you will see successful results. Most doctors, surgeons and orthopedic specialists will recommend conservative treatment methods for Achilles Tendonitis injuries before even considering surgery. It is generally understood by doctors and surgeons, that surgery will introduce more scar tissue into the any already damaged tissue. This added scar tissue will be problematic, requiring more physical therapy and conservative treatment options post-surgery. If not dealt with properly, your tendonitis injury could end up in worse condition than before the surgery! This is why surgery is only performed as a last resort. Use Deep Tissue Regeneration Therapy (DTR Therapy) - You can use your own blood flow to maximize your rehabilitation, maintain healthy blood flow to your achilles and heel, decrease recovery time, and boost the bodys healing rate. Promoting blood flow to your achilles will help to minimize the growth of scar tissue, increase flexibility and help prevent atrophy. Prolonged use of a cast, removable splint, or long-term rest (restricted movement) without proper exercise or stretching can make your Achilles tendon injury worse. If your Achilles tendon remains completely immobilized and at constant rest, the ends of the Achilles tendon (where it attaches to bone or other muscles) will begin to fill in with massive amounts of scar tissue as part of the healing process. You may also have on-going symptoms of pain, swelling and inflammation, and even poor blood flow circulation. Lack of proper blood flow and growth of scar tissue will increase the natural length of the tendon and tighten the tissue, changing the flexibility between your ankle and foot. Your ability to push off with your foot in certain activities such as running, jumping, or going up and down stairs all become compromised. You are also at an increased risk of re-rupture of the tendon, if the initial injury was large and required surgery in the first place. 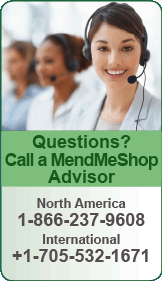 Your doctor may encourage you to use a splint or brace. 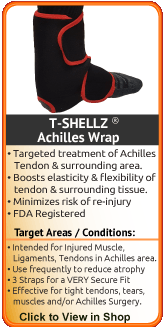 This will gently add compression to the muscles in the lower leg and support the tendons in the achilles and ankle. Most physicians caution you in not wearing a brace too frequently, as soft tissue stretching and healing can be compromised. In some cases, prolonged use of a brace may cause increased secondary conditons such as pinched nerves and interruption to the blood flow to the joint. Physical Therapy is a very helpful way to decrease pain in the soft tissue, restore strength to atrophied muscles and improve ankle, heel and leg strength and mobility. 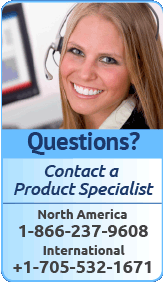 Your physical therapist will start you on a program will be tailored for your achilles tendon injury. As you start to return to your activities, it is good to gauge how well you are using your achilles in these activities to determine if you can decrease stress on the injured tissue. This may involve changing your technique for sports to reduce the singular stresses on the recovering tendon. You may have to modify some of your activities or movements during your recovery to ensure the long term health of your achilles. 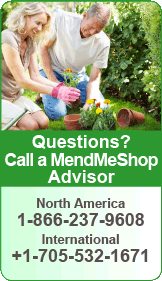 Even if you are already feeling less pain and greater mobility, you need to continue with your treatment plan. Until your ankle is healed, you are still at risk for further damage. Keep in mind, the longer you wait to treat your tendon injury, the greater the potential for re-injury or for permanent damage to occur. Most often, more serious achilles injuries are developed after ignoring your body's warning signs. 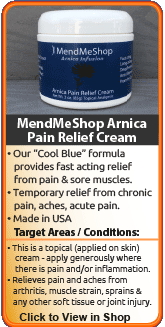 Masking pain and immobility or continuing strenuous repetitive movements cause micro tears to form in your tendons. If your body is not given a chance to heal, scar tissue will form. This weak, inflexible tissue will cause chronic tendonosis symptoms that include constant pain and functional restriction. 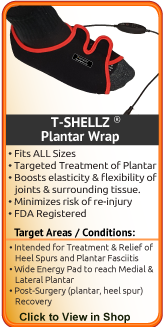 Most cases of minor achilles injuries are completely treatable by conservative therapies. If you want to continue to enjoy your activities, sports, or have a physically demanding job, committing yourself to a conservative treatment routine, as soon as possible, will increase your chances of a full recovery. Your initial treatment should involve decreasing any swelling, relieving any pain and stress on the elbow, correcting any bio-mechanical dysfunction, and then restoring strength and mobility to your injured achilles. It's also very important to follow any instructions you receive from your physician. There are many things that can ease the pressure on your Achilles Tendon as you recover. Your doctor will have looked at the structure of your foot and ankle to give you the best possible solution that works for you. The goal of using the following therapies are typically to provide support or increase blood circulation to injuried soft tissue. 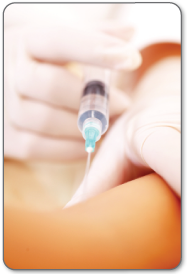 Surgery - if all other methods of treating the tendonitis fail. Keep in mind that if you have completely ruptured your tendon, it requires surgery to be corrected. 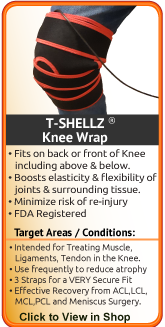 Using a TShellz Wrap on your ankle before exercising, and a Cold Compress or Ice Pack after exercising. 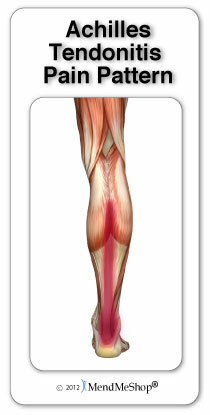 Increasing exercise intensity slowly - to condition your tendon to higher levels of exertion/stress. Stretching your tendon before and after exercise (warm up and cool down). Wearing shoes that fit correctly (cushioning under the heel and proper arch height) and support your feet. 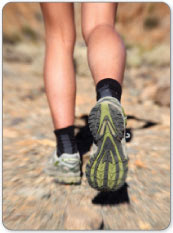 Running on softer, flat terrain is advisable to avoid injuring or re-injuring your Achilles tendon. 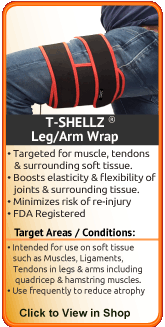 If you want to avoid re-injury, or manage pain and increase circulation for lifelong health benefits a Cold Compress or Ice Pack and TShellz Wrap will provide the results you are looking for. Why spend time in pain, off from work, and missing out on your active lifestyle when you can be proactive about your injury and the health of your body? Talk to your doctor about incorporating a regular routine of using a Cold Compress or Ice Pack and Deep Tissue Regeneration Therapy.